Livorno is situated along the Tuscan coast and is one of the most important Italian seaports. Its growth is due to the Medici family, who commissioned to Bernardo Buontalenti the fortification of the city. Livorno is the home town of Great Tuscans such as Amedeo Modigliani, Pietro Mascagni and Giovanni Fattori. Because of the bombings during World War II, most of the historical center has been destroyed, but still there are several things to see. Unmissable are certainly the beautiful promenade where you can admire the splendid Liberty-style buildings and the Mascagni Terrace. The province of Livorno has lots of delightful destinations, that are perfect for summer holidays. 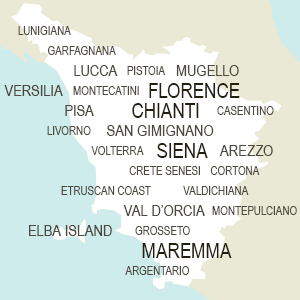 Some of the most famous destinations are Castiglioncello, Rosignano, Vada and Cecina. Hotel Città is located in the center of Livorno, within walking distance from the harbor.Rooms are comfortable and equipped with comforts. Al Teatro is a small and elegant hotel in Livorno near Goldoni's theater. It is located within walking distance from the harbor and the train station. 2 star hotel in Livorno located near the main harbor. It offers parking and Wi-Fi connection. Rooms are clean and have air-conditioning, private bathroom and sat-TV. Hotel looks like a castle, in area where all homes are of this style. Elegant rooms, with minibar, cordial reception and good buffet breakfast. Near sea and Naval Academy, perfect for walks along Livorno's well-known promenade. Nice 3 star hotel in Tirrenia within the San Rossore Natural Park. It is located few steps from the beach and offers rooms and suites with views over the seaside. The restaurant serves Tuscan food. The monument of the Four Moors in Piazza Micheli is one of the most renowned symbols of Livorno. Legend has it that from a specific point of view of the square you can see at the same time the four noses of the bronze Moors by Tacca. The point does exist, find it!